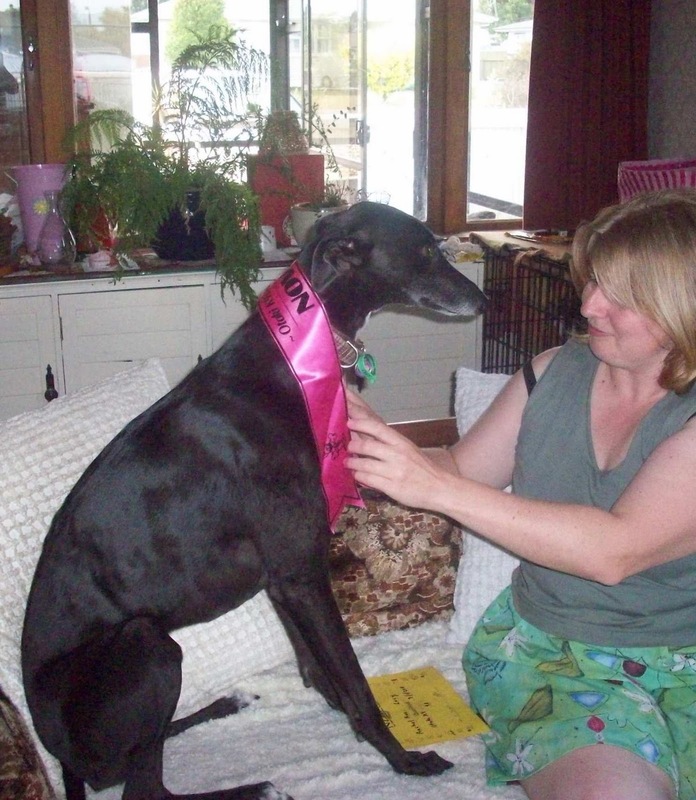 Nightrave greyhounds blog: Lucy wins second place at Otaki K9's Rally Obedience! 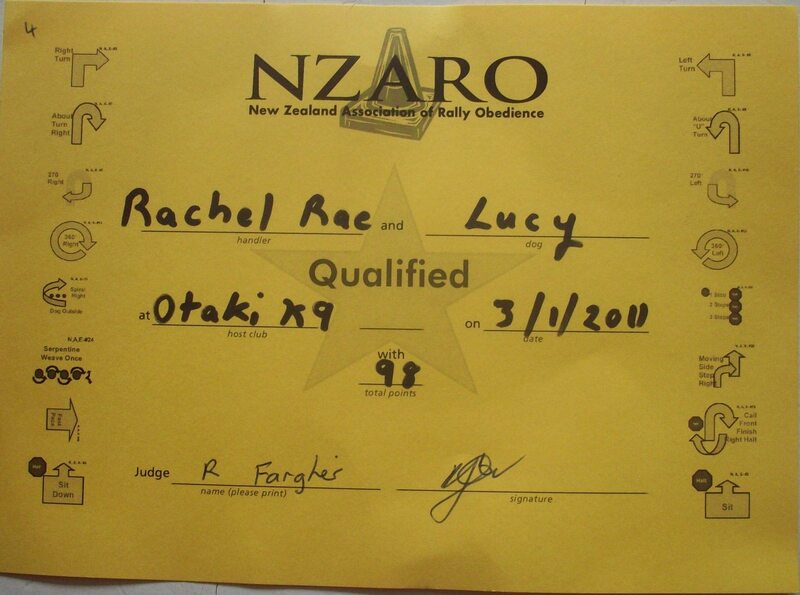 Lucy wins second place at Otaki K9's Rally Obedience! Our Lucy the Ferret had a big week! 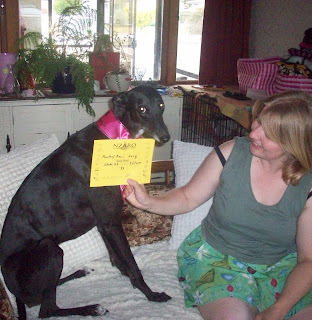 On Monday, she won second place, 98%, Gold Qualifier at Otaki K9's Rally-O qualifying trial. Rally Obedience has often been described as a cross between Obedience and Agility. A handler and dog negotiate a numbered course of around fifteen “stations”. At each station there is a sign indicating a particular obedience-based exercise that they must perform. Exercises include combinations of turns, presents, finishes, changes of position, heeling around cones, halts, stays and jumps. 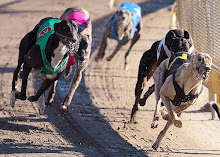 The team must do the course on their own – there is no steward giving instructions – and they are scored on their performance as for obedience. 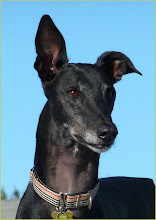 For a little extra pressure, each run is also timed, so that if dogs end up on the same points, the highest placing goes to the dog with the fastest time. Rally is heel-work based, but the requirement to perform a different exercise every few metres keeps the team on its toes. 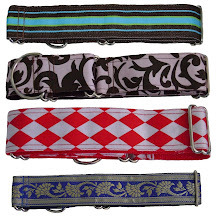 It does not require the same level of precision as Obedience, the emphasis being more on teamwork and the responsiveness of the dog, and most dogs trained for obedience or agility have the basic skills needed to perform the exercises. 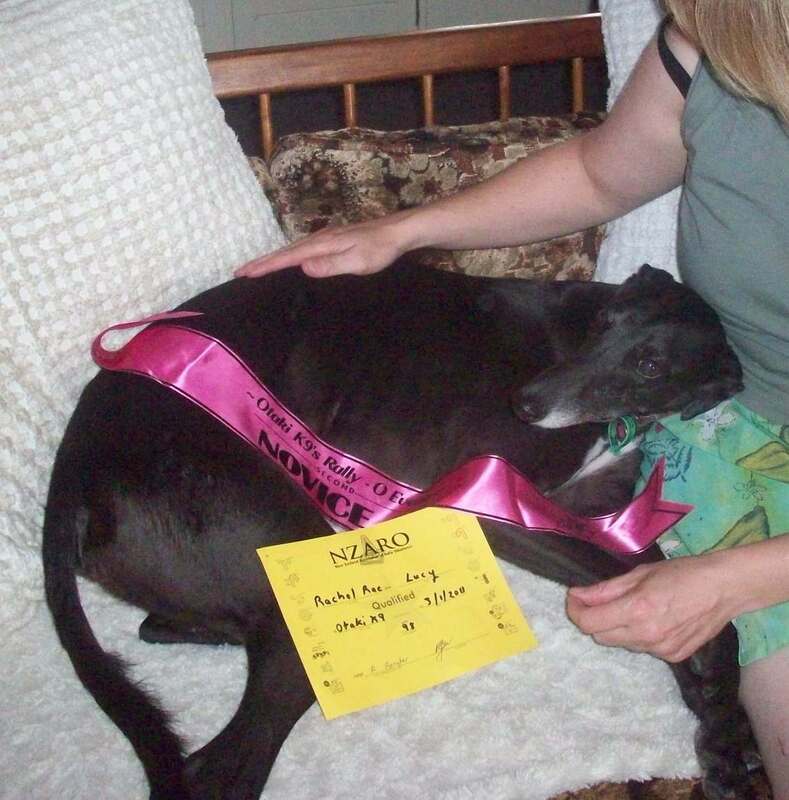 In Novice there are no jumps so dogs of any age can enter, including the old, injured or retired dogs that still crave a job to do! 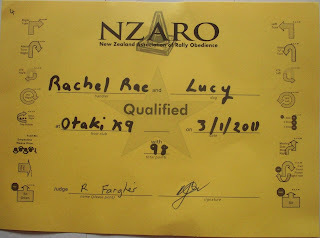 There are currently four titles that can be earned in New Zealand – Rally Novice (RN), Rally Advanced (RA), Rally Excellent (RE) and Rally Advanced Excellent (RAE). 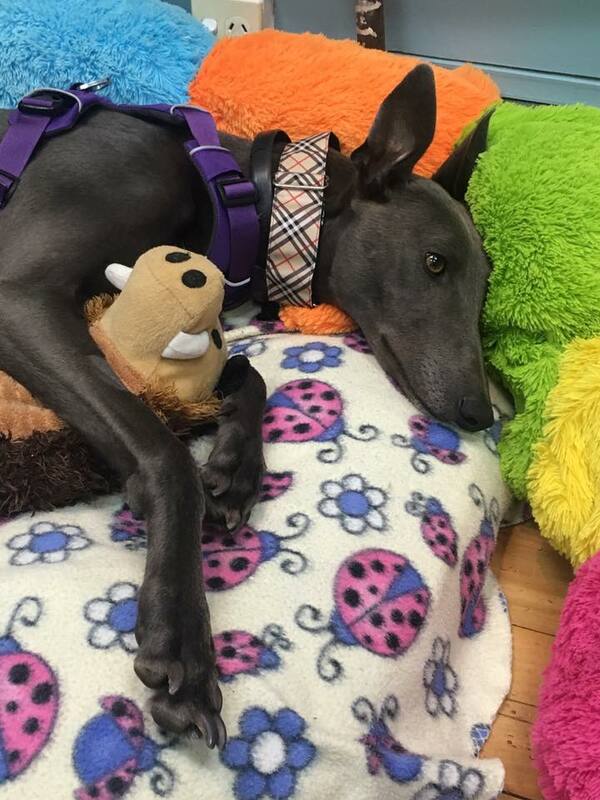 Lucy LOVES Rally O! I would suggest to all greyhound owners to try CGC (Canine Good Citizen) and Rally O with your dogs. 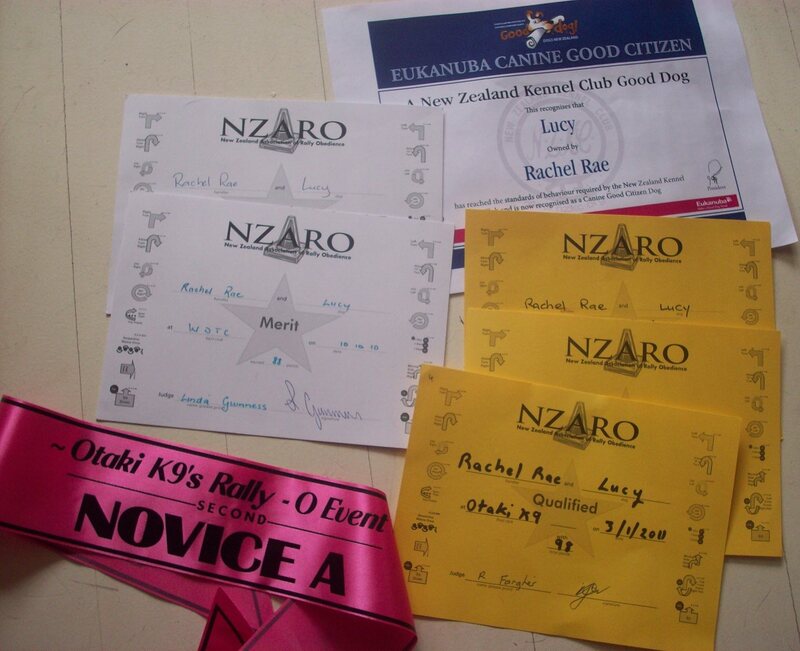 Your local Dog Club will have the details, or you can get all information on NZKC website.